The BBMC have been sponsoring a number of artists over the winter by providing studio space and gear for budding art projects. First out of the gate for spring is The Sauce – a new musical project from Colleen Power, April Crocker and BBMC members Mike Kean and Liz Solo. 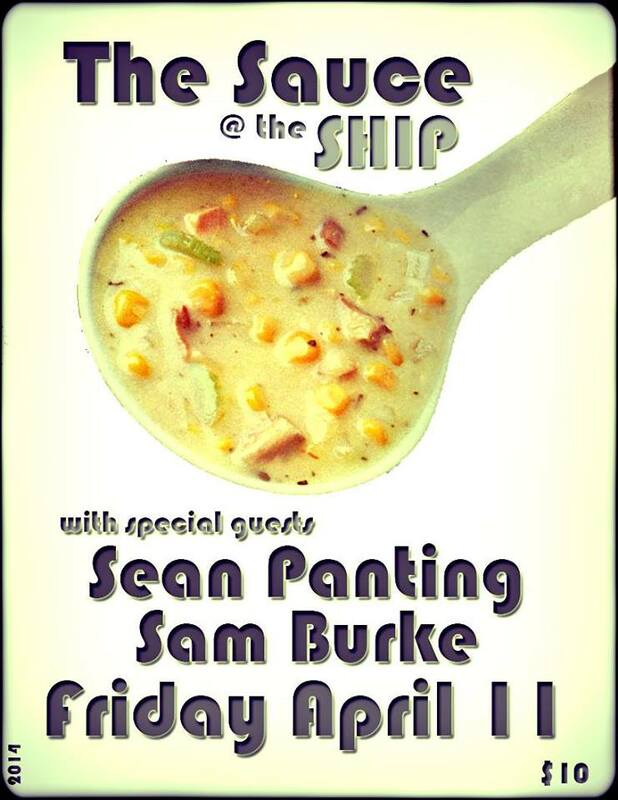 The band will be playing tonight at the Ship in St. John’s with special guests Sam Burke and Sean Panting. The poster and press release are below. Recordings and video releases to follow soon. Stay tuned for news from the Sauce as well as other project premieres (including a sweet new mini-festival!) coming up in the next two months. FRIDAY APRIL 11th at 11 PM. $10 at the door. ID’s required. Formed in the depths of a cruel St. John’s Winter The SAUCE are Colleen Power (Vocals/Guitars), Liz Solo (Vocals/Drums), April Crocker (Bass/Vocals) and Mike Kean (Guitars). Former band-mates from many projects over many years (Live Girlz, Lizband, Black Bags, Colleen Power Band, Alien Rejects) they have reunited with a new sound and a set of songs sure to get you all riled up. The set will include Sauce favorites: ‘Ex-Mother-In-Law’, ‘The Abduction of Great Big Sea and Shannygannock’ as well as the world premiere of ‘Clone Your Bottom Half’ and many more. The Sauce are joined by super saucy guests Sean Panting and Sam Burke.